Soil productivity is a function of soil biology and the activities of soil organisms. 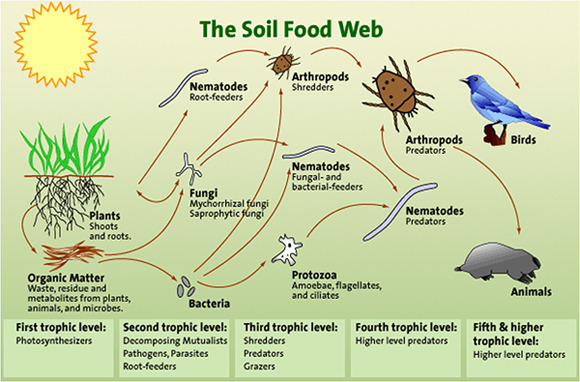 Living in the soil are plant roots, bacteria, fungi, viruses, algae, protozoa, mites, nematodes, earthworms, ants, maggots and other insects and insect larvae (grubs), plus larger animals. In fact, the volume of living organisms below ground is often far greater than that above ground. These organisms are responsible for the decay of organic matter and cycling of both macro- and micro-nutrients back into forms that plants can use. This week chat about Soil Biology as the key to plant health on #plantchat! Join @CoronaTools and #plantchat co-partner, Aaron Kinsman, of Rodale Institute @RodaleInstitute for this week's topic, Soil Biology is Key to Healthy Plants in the Garden. 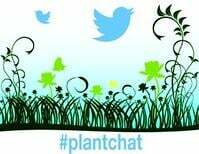 The live chat begins Monday, July 14, 2014 at 11 a.m. PST / 2 p.m. EST, were we come together with green industry experts and fellow horticultural tweeps each week to discuss all things related to plants and horticulture, since 2014. Compost - Learn how you can use quality compost for most soil health problems, instead of buying chemicals. Avoid Dead Soil - Discover how widely used synthetic chemicals kill soil microbiology, promoting erosion and chemical run-off. 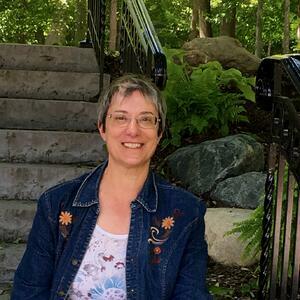 Ubiquitous Chemicals - Hear why those same chemicals are also toxic to humans, and are found in breast milk and umbilical blood. Photosynthesis Discuss how it fights climate change, turning C to O2 – plants are of no use to humans if we are not around to eat them. Tips and Resources - Get the latest tips and information from the Rodale Institute for achieve growing success and healthy, living soil.